Sacred symbols meet fashion. And they become must haves. 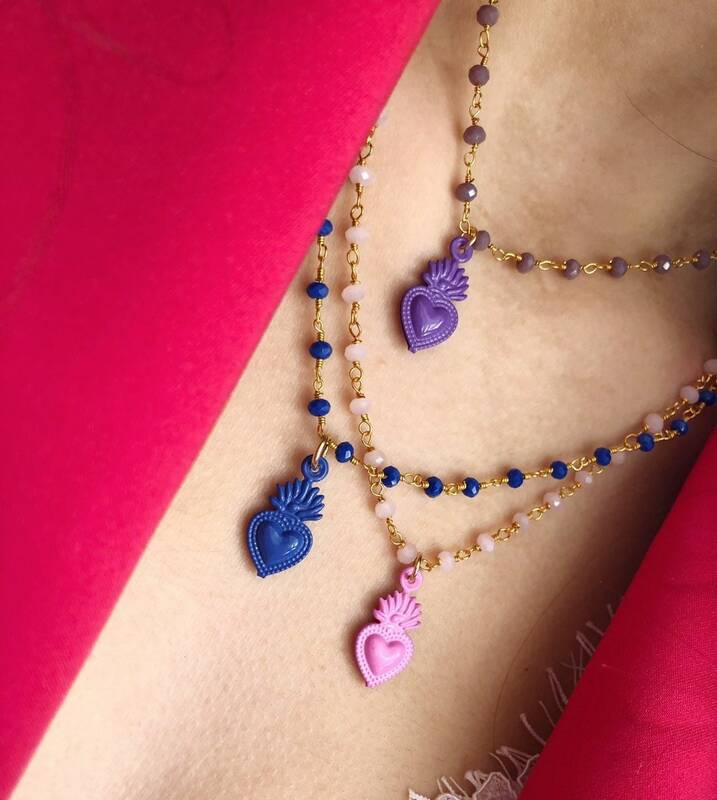 The necklaces on sale in this listing are made with rosary chain in various colors and small sacred enameled heart. The chain fasteners and hooks are in 925 silver. The chain is 45 cm long, a classic choker.